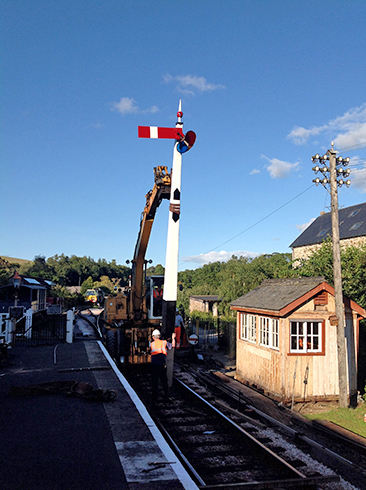 One of the delights of the tranquil station of Staverton is the use of earlier generation genuine Great Western Railway components such as wooden signal poles. 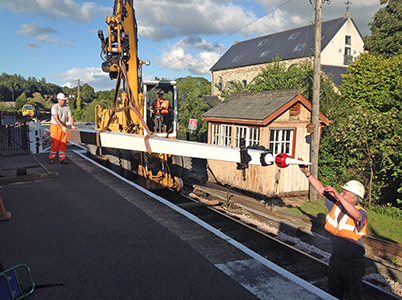 The down side of wooden poles is that they rot out because the high quality pine used by the Victorians is no longer available. 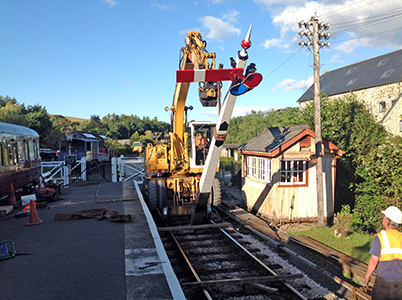 On the evening of the 19th August 2014 the SDR S&T Department, assisted by the PWay Department, errected the replacement wooden signal pole next to the level crossing. 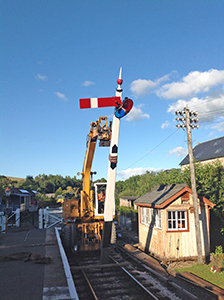 Signal 32 has been rebuild using parts recovered from the original pole and has been given a new wooden arm. 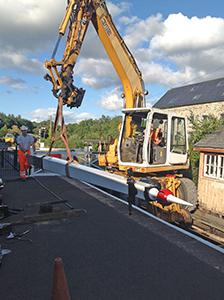 Below is a timeline for the erection of the pole.